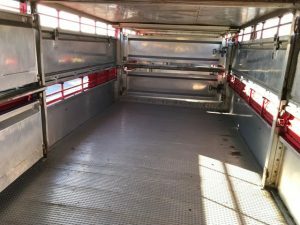 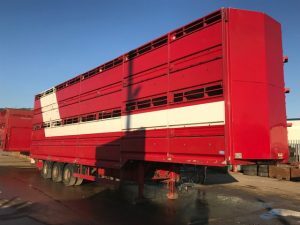 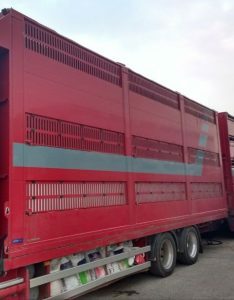 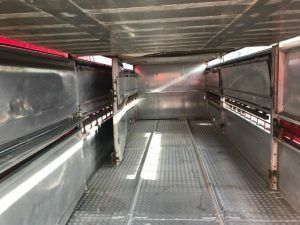 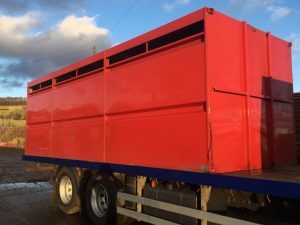 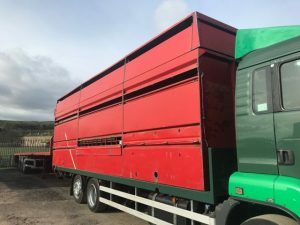 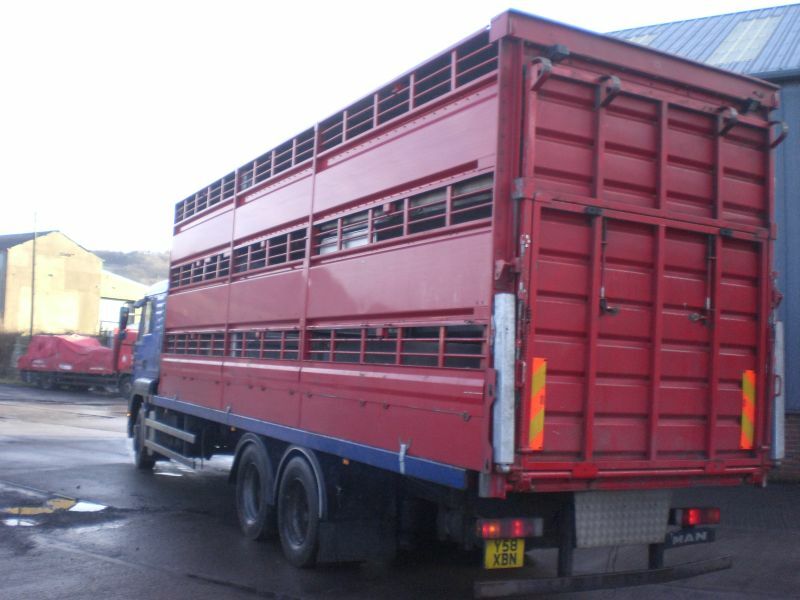 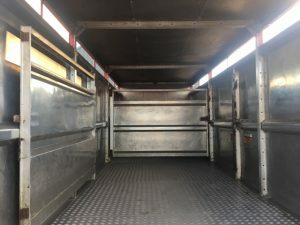 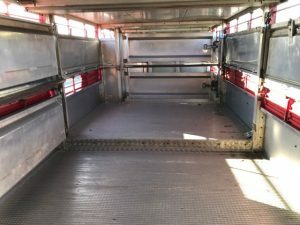 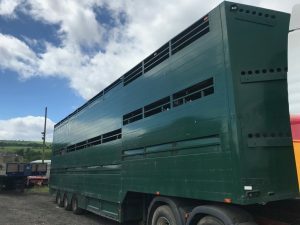 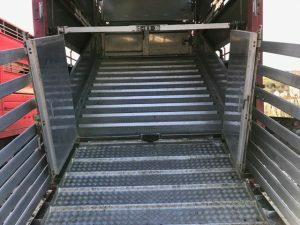 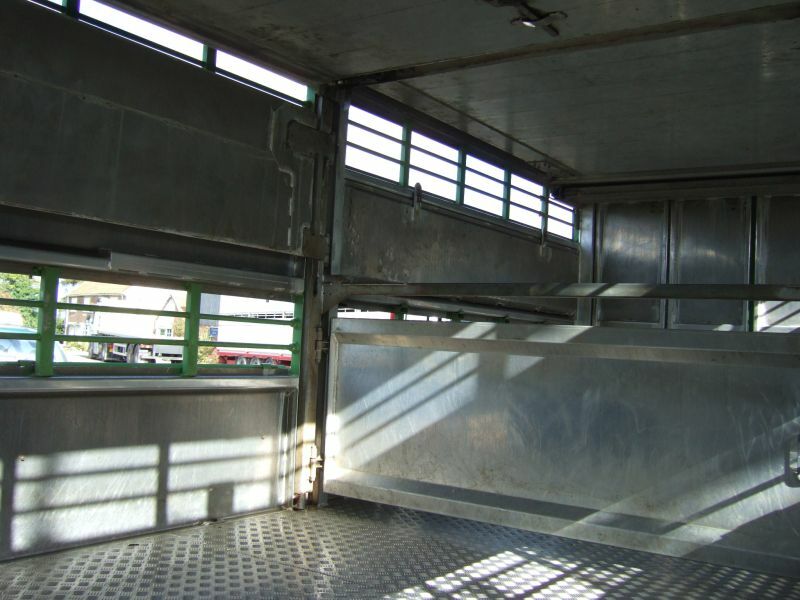 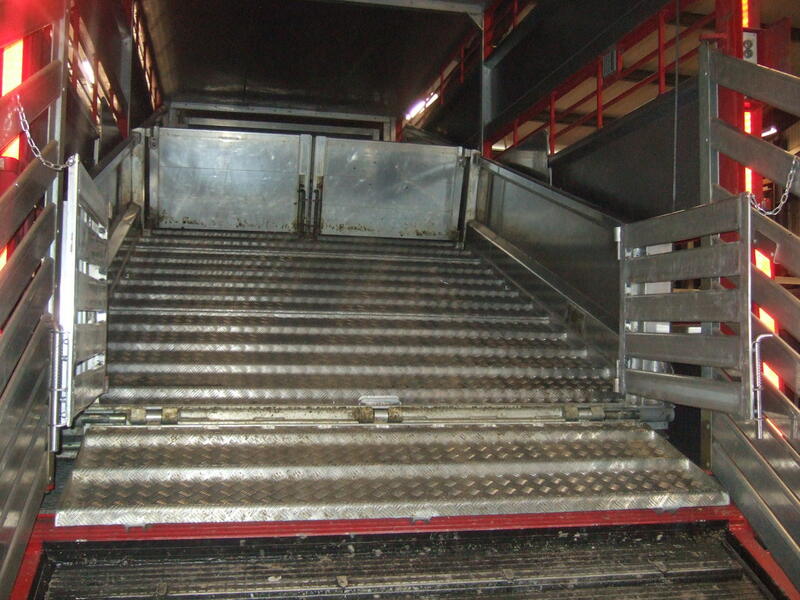 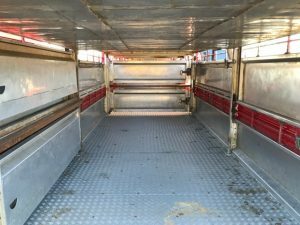 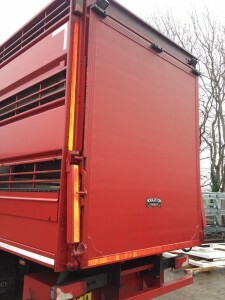 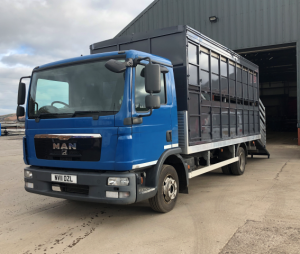 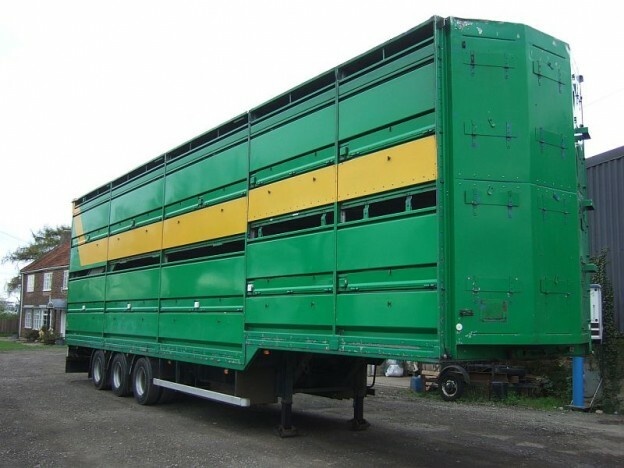 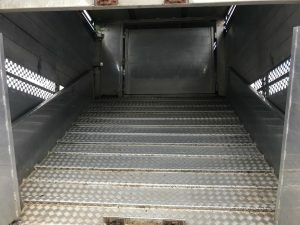 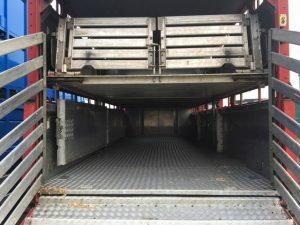 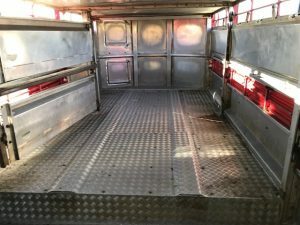 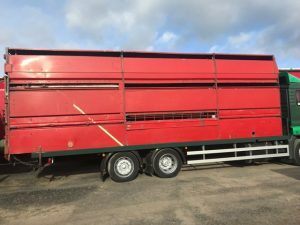 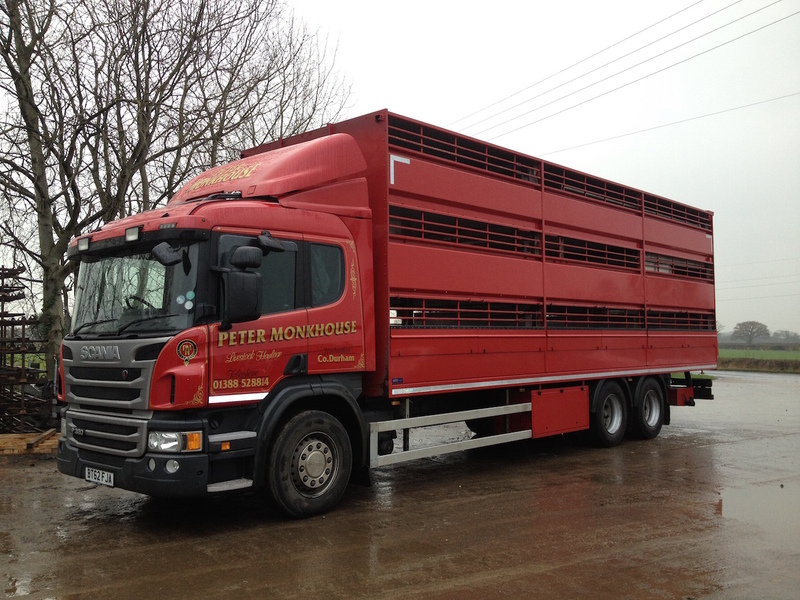 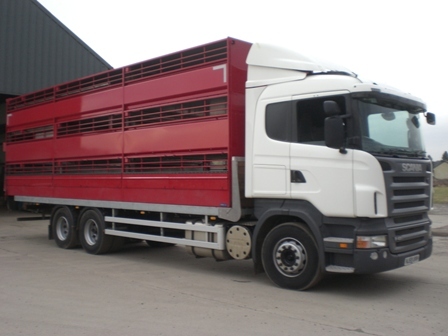 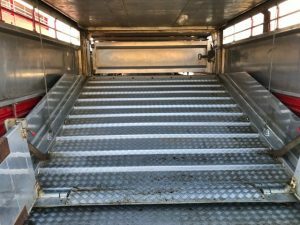 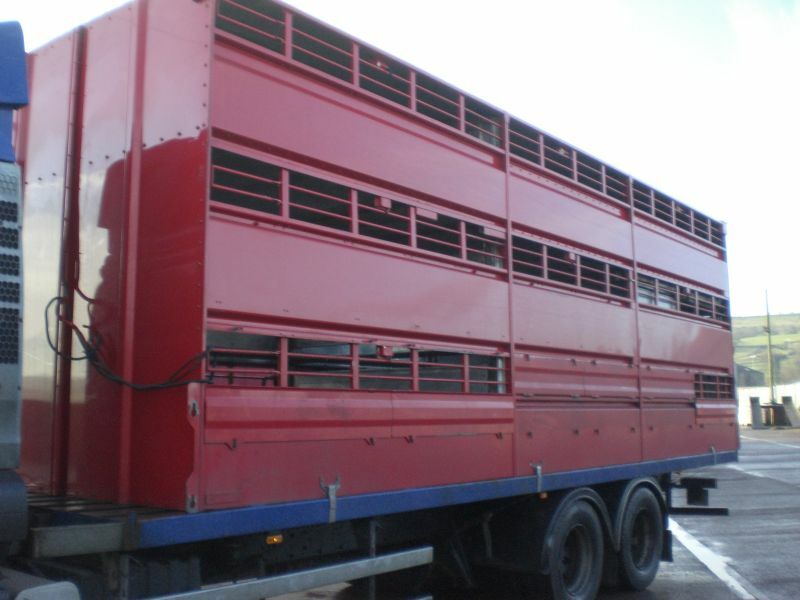 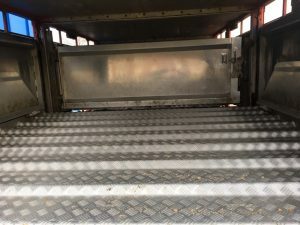 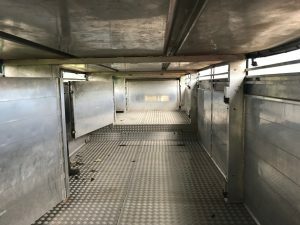 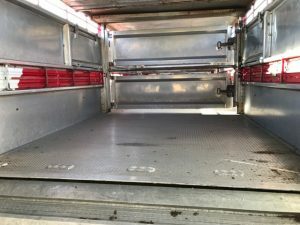 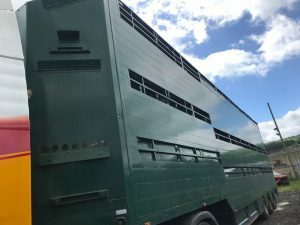 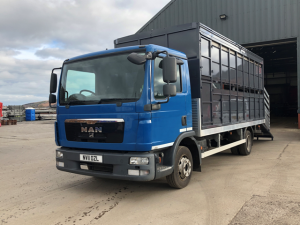 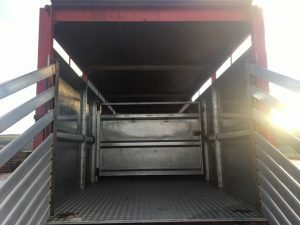 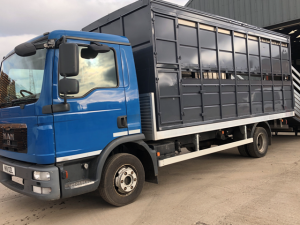 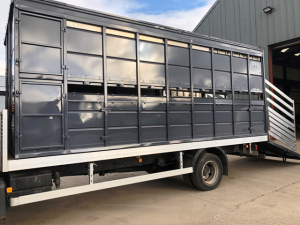 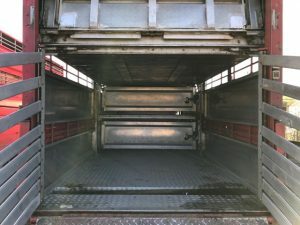 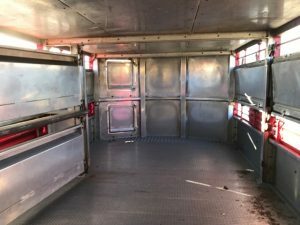 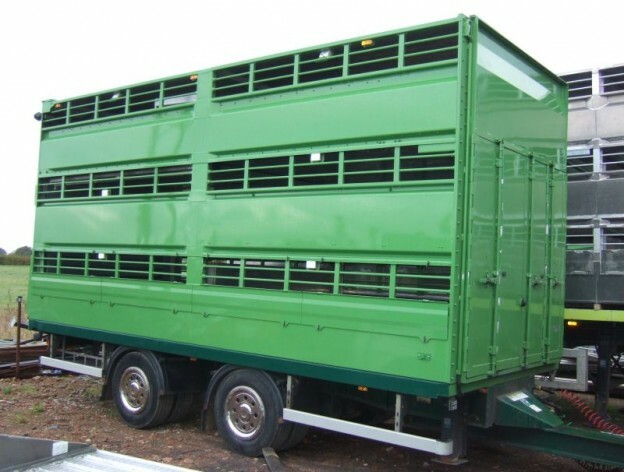 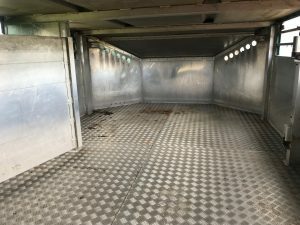 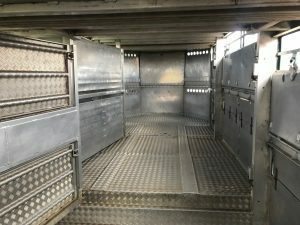 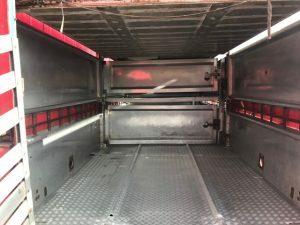 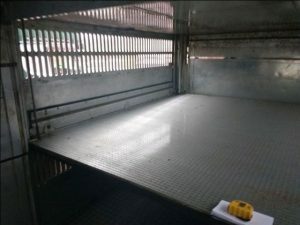 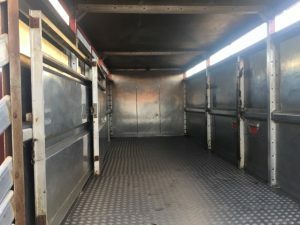 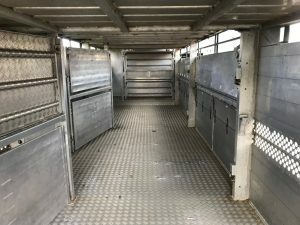 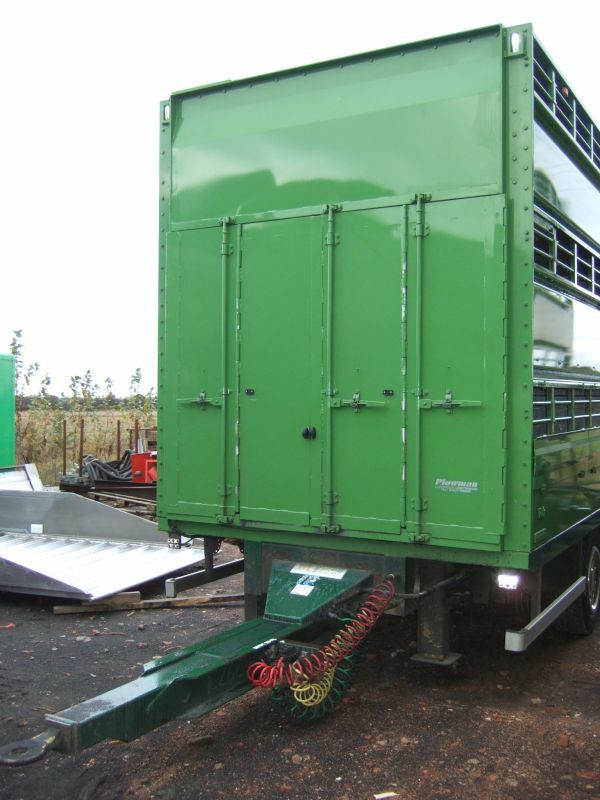 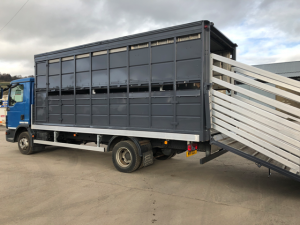 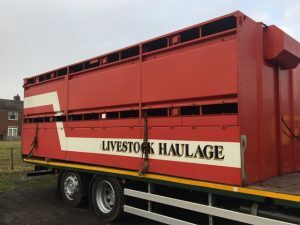 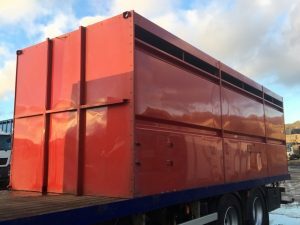 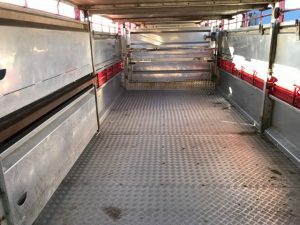 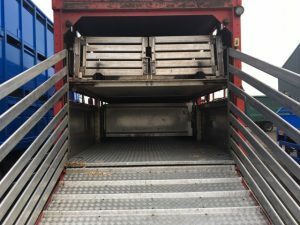 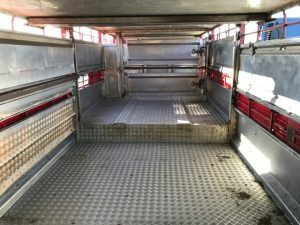 HOUGHTON PARKHOUSE 3 DECK 28 FT PROFESSIONAL LIVESTOCK CONTAINER. 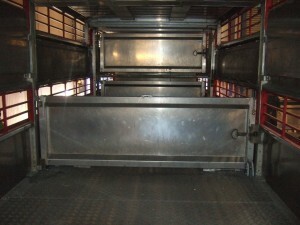 3 X 9FT LIFTING FLOORS. 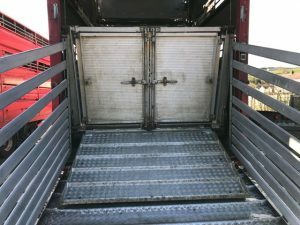 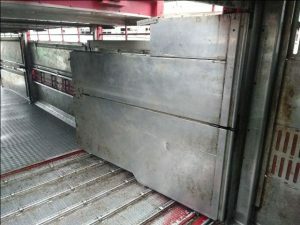 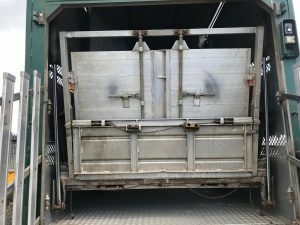 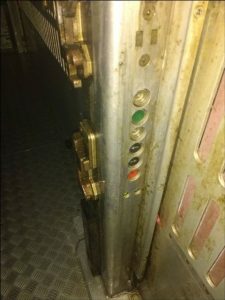 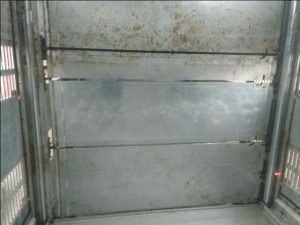 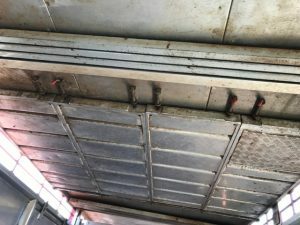 LOAD THROUGH HYDRAULIC BACK DOOR. 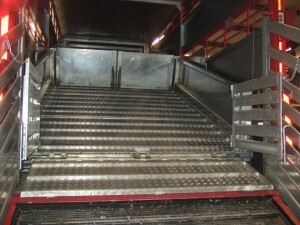 It bolts straight down to the platform and all the hydraulics are in the box at the front of the roof. 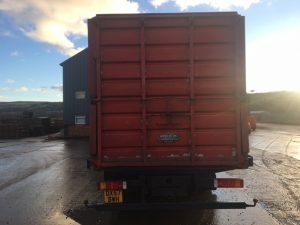 Sorry, this vehicle has now been sold.